It’s a Mount Gambier summer, it’s not going to rain, be windy or even cold…so move on. But should the weather not co-operate fully we are working on the assumption that you’ve watched something outdoors in the South East in slightly adverse conditions before – footy, netball, parades, horse racing, cattle sales – and know how to handle these minor inconveniences with style. So, if it’s intermittent rain, some-what chilly or you can’t see the stars the show will still go on with or without you. We will only consider cancelling a show if conditions present a danger to patrons, staff or Starline property. Please note that the conditions you consider unfavourable may not meet our criteria of being unsafe and if you decide not to attend that is your decision. PS Adventurers do not use umbrellas – they restrict the view of those behind, so go the poncho! But what if the weather really is looking dodgy? What are you talking about? Mount Gambier summer… I told you. However, we don’t want it to be miserable for anyone so if it is looking that way we will try and cancel as early as possible, but unless it’s really obvious it won’t happen much before 5pm when we get onsite to check it ourselves. And just because Port Mac has white foam across the road doesn’t mean the Rail precinct is enjoying the same windsurfing opportunities. Advisement could also be as late as the start of the show if it’s one of those days – wind is a potential issue for equipment but it can change rapidly, rain or no rain. In the rare event a session is cancelled we will cry. 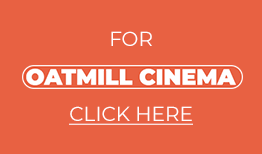 After consoling ourselves for a while with a hot beverage we will then get on Facebook, our website and if you’ve entered it correctly even send you an email to spread the word, you can also call the Oatmill Cinema. So, if you’re worried keep an eye on these sources. Signage will be erected on site to tell you we have gone home for a hot chocolate. Please assume the session is going ahead, unless you receive or see official notification. If you decide not to attend without receiving notice, your tickets will be forfeited. You were wrong, and the session was cancelled! If the event is cancelled by us (and not your mum who is worried you’ll catch a chill) then it’s actually not the worst outcome because if you hold onto your booking form/tickets we’ll accept it as Voucher to any general session at either the Oatmill Cinema or Landmark Pictures Naracoorte. And if you contact the Oatmill we can even try and get you into another Starline Outdoor Cinema event if we can.